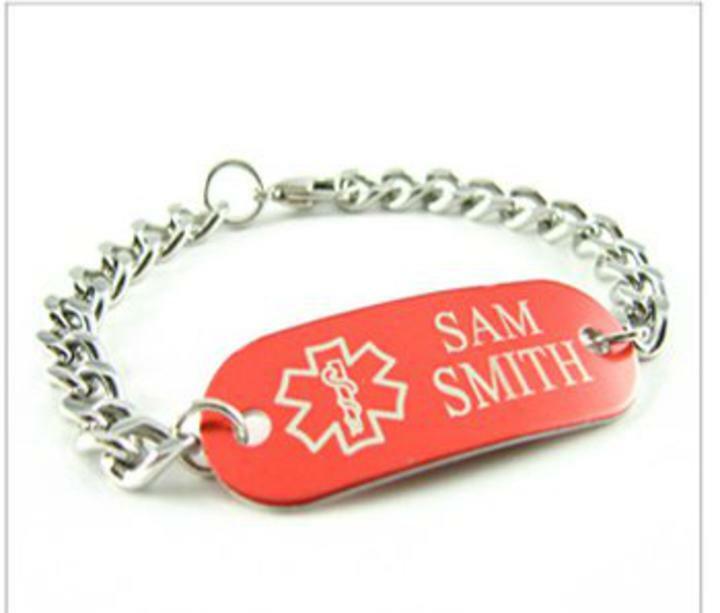 Light weight anodized aluminum medical id alert bracelet is great for anyone. The medical ID plate is anodized aluminum, engarved with clear visible engraving. The chain is stainless steel and comes with a lobster clasp. This can be custom engraved with 4 lines on front and 4 on the back. Choose your choice of color medical tags for this medical bracelet, available, in red, blue or green!